Are you allergic to suits? 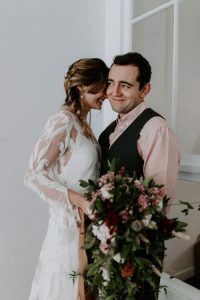 Here is a post dedicated to the search for alternatives so that a man can wear a wedding without a suit. 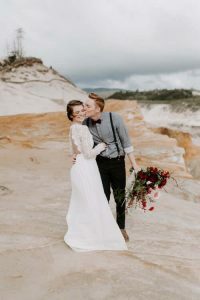 A wedding on the beach in full heat months, may be the reason why you need a desperate search for solutions to not have to “suffer” a suit in such an special and happy as a wedding. 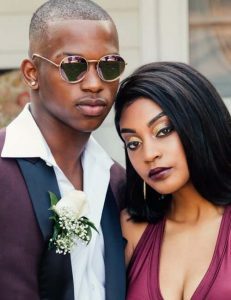 To avoid a suit and still have an indisputably formal attire, perfect for a special occasion, the first thing to keep in mind are the accessories, although within the range of accessories there are more or less informal options. 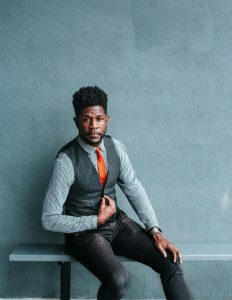 A first option is the suspenders with bowtie and cufflinks, formal and traditional elements of the menswear that through color and shape, can give a fun touch to such a formal occasion. 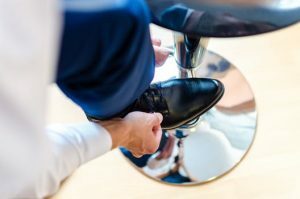 To use this formula well, in addition to an absolutely impeccable tailoring shirt, you need clean, shiny shoes that correspond to a unique occasion. 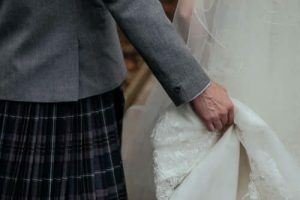 If a few accessories will not work due to the environment in which the wedding takes place or family requirements, a vest could be exactly the solution. There are two very different ways to use vests. The first is more discreet and traditional, classic black vest, no tie and no stridency when it comes to color. This formula will save you the traditional suit without taking away the limelight. 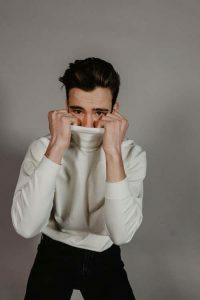 But if you want a more fashionable look and prefer to differentiate yourself from the environment, the use of a vest can be anything but conventional. To prove it a spectacular image in which fantasy, texture and brightness are mixed in a modern and anti-conformist result. 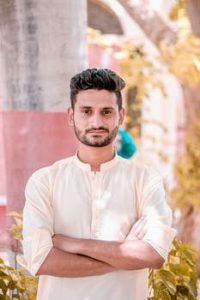 The fantasy of the shirt, the classic fabric of the vest with unconventional accessories, the trousers with an imitation leather finish and the tie in contrast, give character to a masculine attire in which tradition and modernity go hand in hand without the look results forced, maintaining the necessary harmony so that the attire can remain appropriate for dressing on this occasion. If your allergy to suits does not also cover the jackets used individually, I suggest you take into account what is undoubtedly my preferred option. Halfway between a formal attire and relaxed attire are single jackets, garments that you can use to create contrasts or maintain a look of basic appearance, what you most want. Personally, jackets are clothes that I love, both for men and women, so I would not waste a unique opportunity like this to make an impeccable jacket to size in a spectacular fabric. 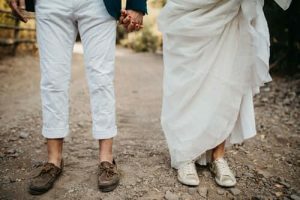 Then, if you want to have fun, you can revolutionize the look with shoes or accessories that are transgressors, but do not forget to coordinate this action with your partner so that there is no unfortunate contrast between you, so that the result has consequences that do not result fun for both. The moment a jacket is not part of a suit, it automatically loses its boring karma to a dimension that, in addition, can be of absolute sophistication if you choose the appropriate fabric. It does not matter if the wedding is civil or religious, choose a sophisticated looking fabric for which you feel a great attraction at a glance, that you fall in love as your future wife or husband and order the jacket of your dreams. 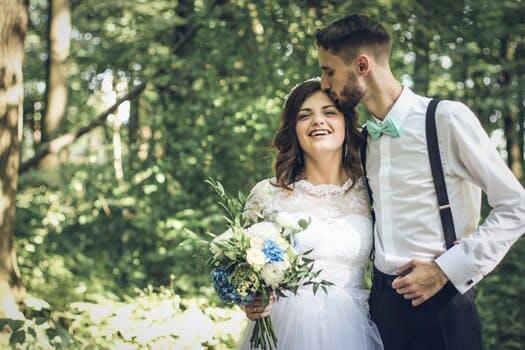 If instead of taking place in the summer season, the wedding takes place in spring, autumn or in any case will take place in a colder climate, keep the same elements but replace the shirt or tee you have chosen, for a turtle-necked pullover and maybe dark trousers. We have not yet started with post for colder weather, but you will discover that my passion for turtle neck pullovers is infinite. Smart and simple, I will advise you whenever you have a few in the wardrobe in different colors, since they will save you from many different occasions, besides saving you endless and boring iron hours. In the opposite extreme and as the last proposal, there is the one that is also the simplest and most appropriate for very hot climates. I’m talking about jacket style shirts, Mao neck shirts or no collar. They do not need any garment on top to offer, by themselves, a “total look” effect. If the event takes place for example on a beach, do not hesitate, it will be the garment that is more in harmony with the environment and the situation. Even if the bride chooses a more “complicated” outfit, your look will not be out of place and will not be inappropriate. An important note: on a special day do not leave your personality forgotten at home, you must always be faithful. The important thing is also that your look fits you and is suitable for the environment in which the event occurs.